In Canada, Easter comes after our really cold winters, so to a certain extent, we really celebrate spring. Though both Gord and I grew up in Christian families, Easter in our home is celebrated as a cultural holiday rather than a religious one. In early April, our seasonal front-door wreath gets changed to one with blooms. From the basement out come the Easter decor box, filled with an assortment of hand decorated eggs, some from the girls kindergarten days. In baskets scattered around the house, the eggs are displayed like little gems on beds of pastel straw. Pretty glass bowls are filled with flowers and candy dishes with jellybeans. Easter morning our girls would wake up to a trail of tiny chocolate eggs interspersed with plastic eggs filled with coins. The trail, which started at the edge of their beds, would lead to their basket filled with colourful hair bows, spring socks, stickers, sidewalk chalk and plenty of sugary sweets. As the girls got older, the chocolate trail would lead to a clue. They would have to work through a series of clues, which would eventually guide them to the final hiding place, where the Easter Bunny had left a basket, of course. This year, however, the family won’t be getting together – final exams and other commitments got in the way. When Gordon first suggested going away – I had mixed emotions. Will I miss waiting for the girls to fall asleep or of setting the alarm for 4:00 am so that quietly, hippity, hoppity, I leave a trail for our little bunnies? Will they miss waking up to the Easter Bunny’s chocolate trail? Then I got to think, where will we be in April on our round-the-world trip? Perhaps in Asia or South America? 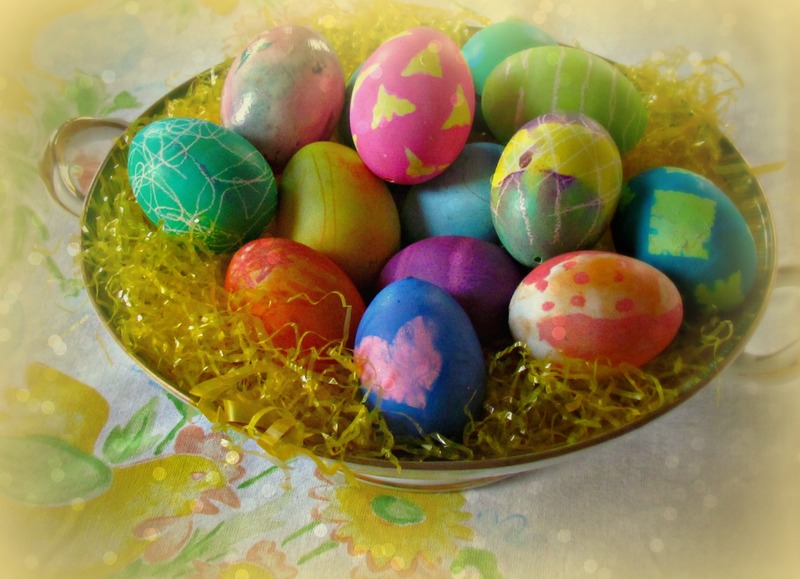 Which countries celebrate Easter and what are their customs? What this made me realize, is that regardless of where Gordon and I end up this holiday weekend, or on our trip around the world, is that we want to experience it all! With that in mind I will sit back and enjoy the ride – I won’t be disappointed if the stores and restaurants are all closed on Easter Sunday … If I have nothing to do, I’ll go for a hike, stroll the city streets, or admire the architecture. If all else fails, I’m sure Gordon will find locals with whom to chat. We’re not too sure where we’ll end up this weekend, but Gordon joins me in wishing you all, Happy Easter!